The rationale for such diet is to make fiber help in reducing fat absorption and to help the person feel full longer so he or she can minimize calorie intake. The 40 gram Fiber diet was never intended to increase fat burning. The health benefits of corn has been known for its high contents of vitamins B1, folate, pantothenic acid and mineral (manganese). Its folate is known to help lower the blood levels of an amino acid that can directly damage blood vessels. In a study conducted to rats, they were fed one gram of fiber in an array of eight soluble and insoluble fibers, after 3 months of feeding the soluble fiber from corn produced the most benefits. 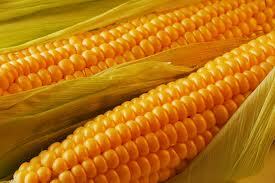 The fibers in corn help in increasing the feeling of fullness and its soluble fiber may boost bone mineral content . Aside from the three major components, the dieters can still take a calculated amount of other carbohydrate, protein and fat sources and this can give you an idea that truly corn, a healthy component in a weight loss diet. The essential nutrients in corn are also known to support lung health. 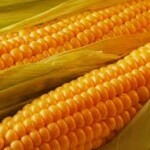 The orange red carotenoid (beta-cryptothanxin) found in corn, may significantly lower one’s risk in developing cancer. The group consuming the most cryptothanxin rich food from corn were found to be 37 percent lower risk of lung cancer compared to smokers who ate the least of these health protective foods. Corn can give protection against complex disease, in its simplest form, this carbohydrate is rich in vitamin B1 (thiamin) which is integral in the production of energy from foods we eat. With the health benefits that the corn has brought, try to make it as a staple food in your diet.